We’re honored and excited beyond belief to host the legendary CHEMLAB, performing their landmark album “Burn Out At The Hydrogen Bar” in its entirety! C-TEC, consisting of Jean-luc De Meyer of FRONT 242 and Marc Heal of CUBANATE fame, will be performing! 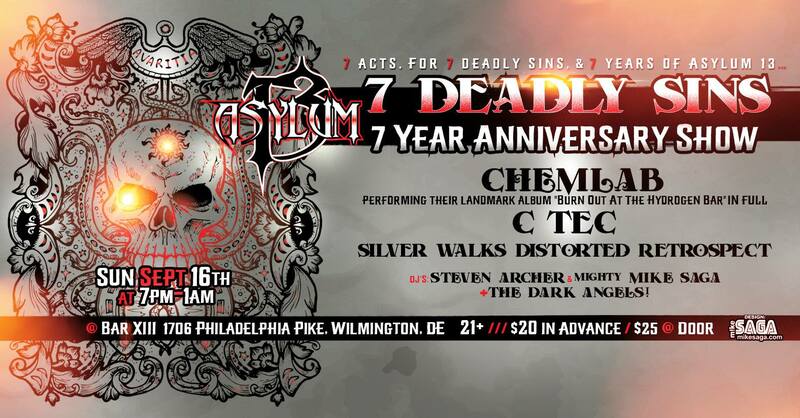 Philadelphia’s very own SILVER WALKS, who have just been signed to Distortion Productions! We’ll be launching the Tidal single in conjunction with Distortion on Sep. 14th, so expect surprises, as this is the official single release party as well! 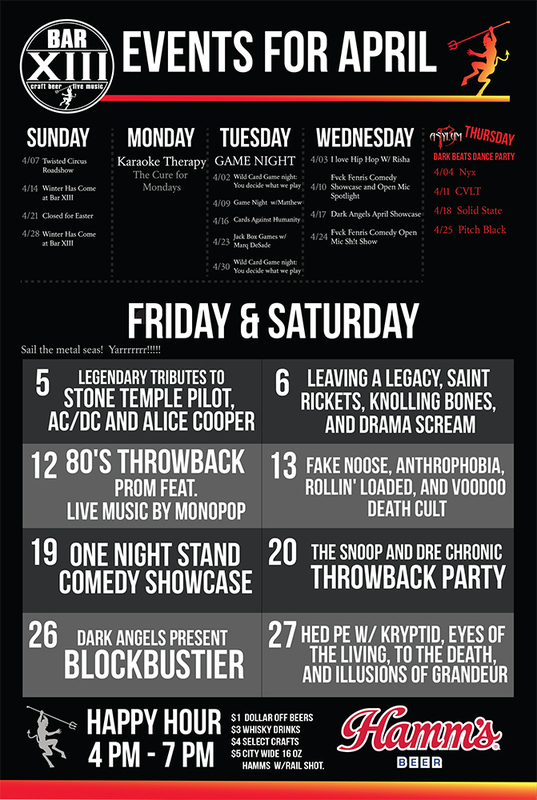 DC’s DISTORTED RETROSPECT, fresh off a festival-launching appearance at the Terminus Festival in Canada! STEVEN ARCHER and MIKE SAGA are your DJs for the evening! Come blow a fuse with us, and celebrate seven years of Asylum 13!